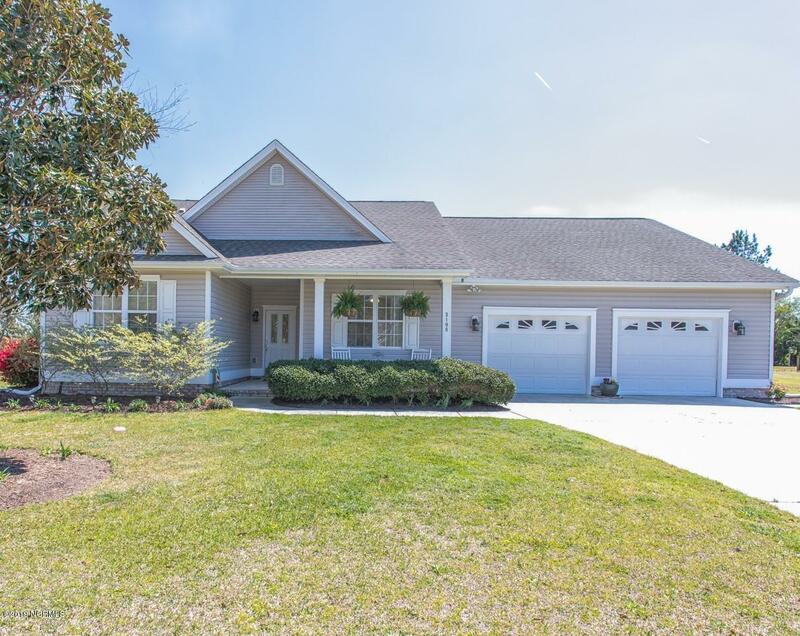 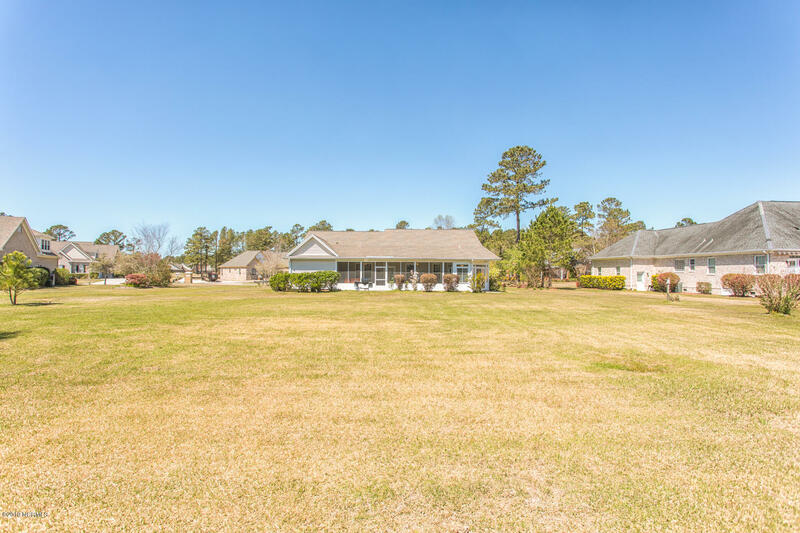 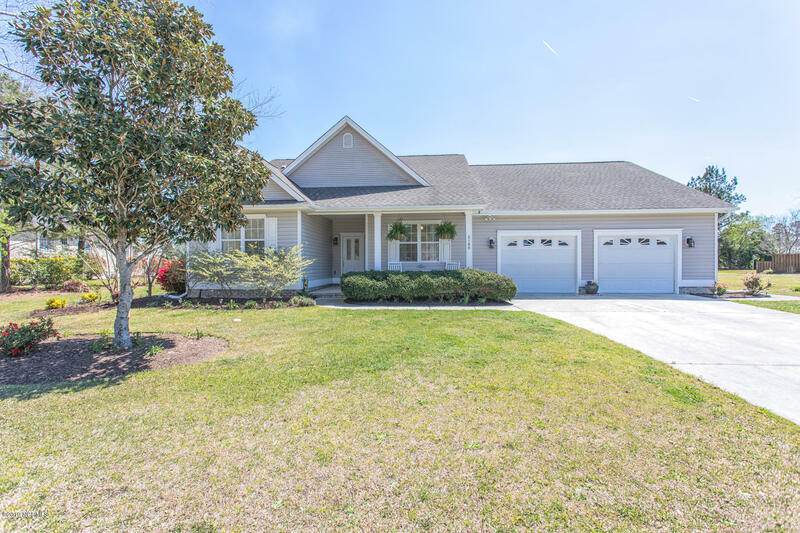 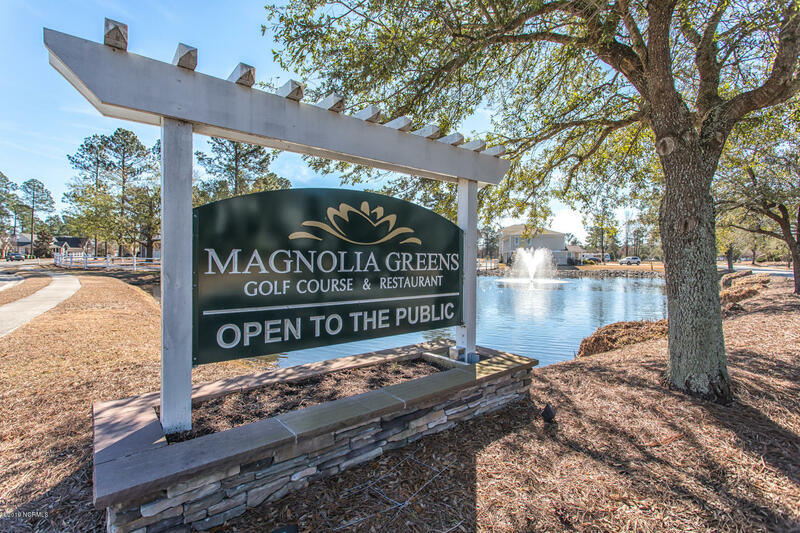 Located on one of the largest lots in highly desired Magnolia Greens. 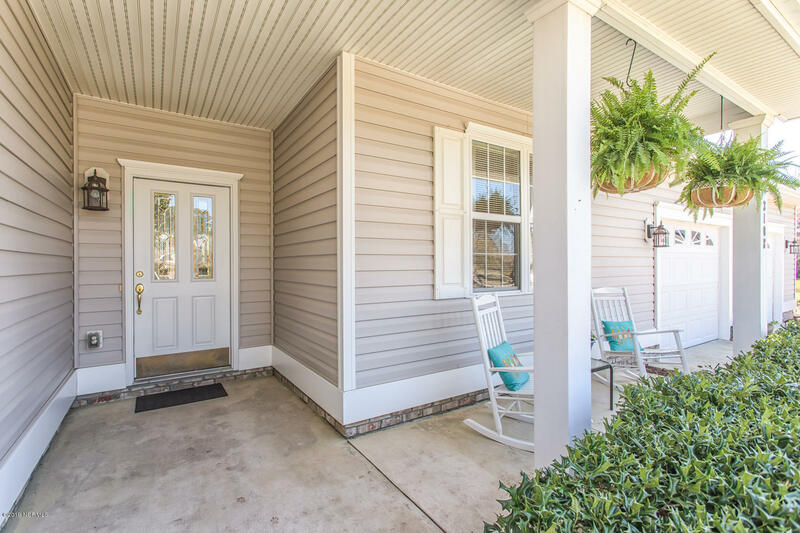 Rocking chair front porch is a perfect place to meet the neighbors. 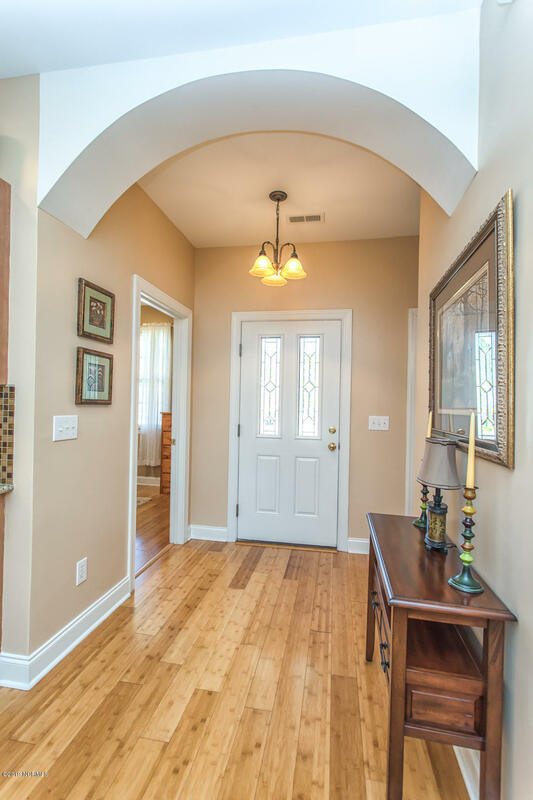 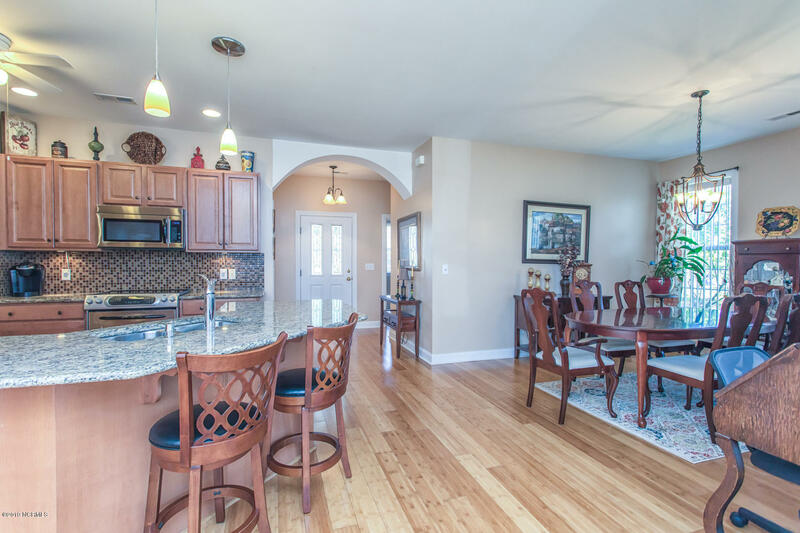 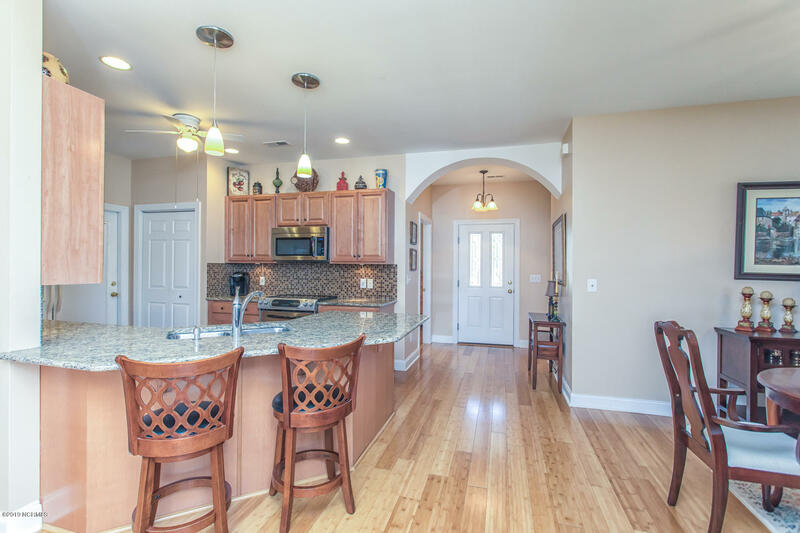 Open the front door and immediately enter the open floor plan, which seamlessly blends the kitchen, living room, and formal dining room. 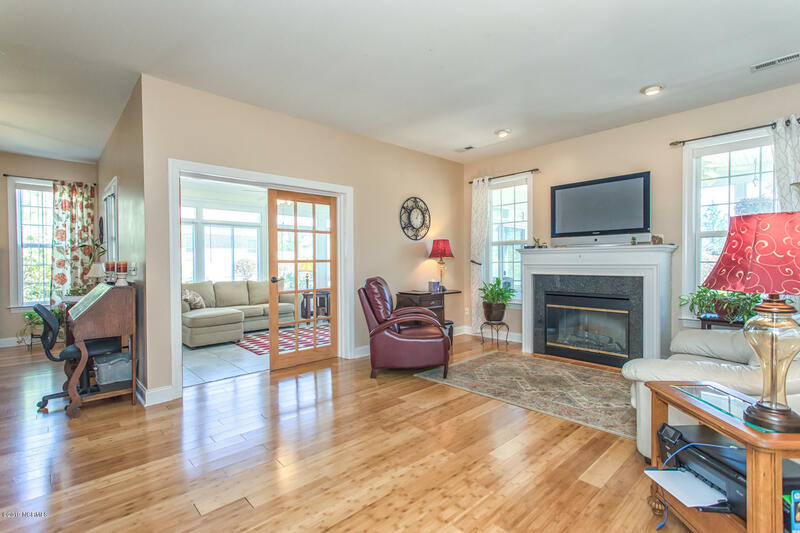 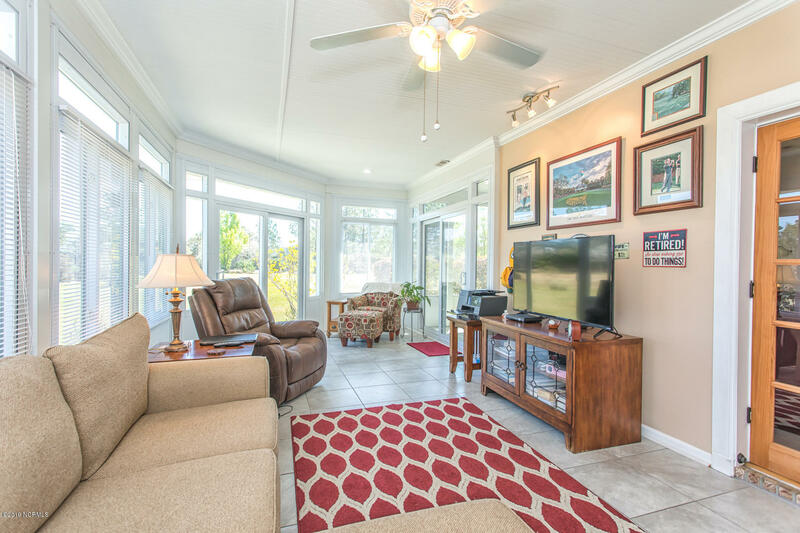 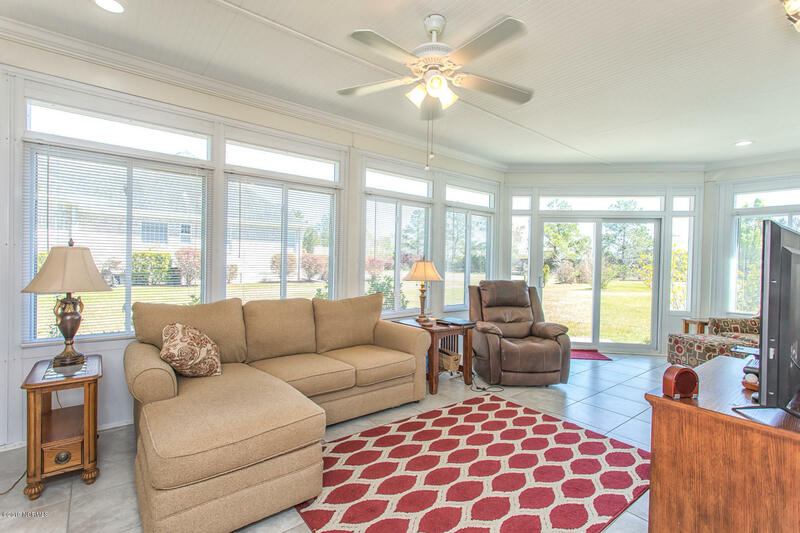 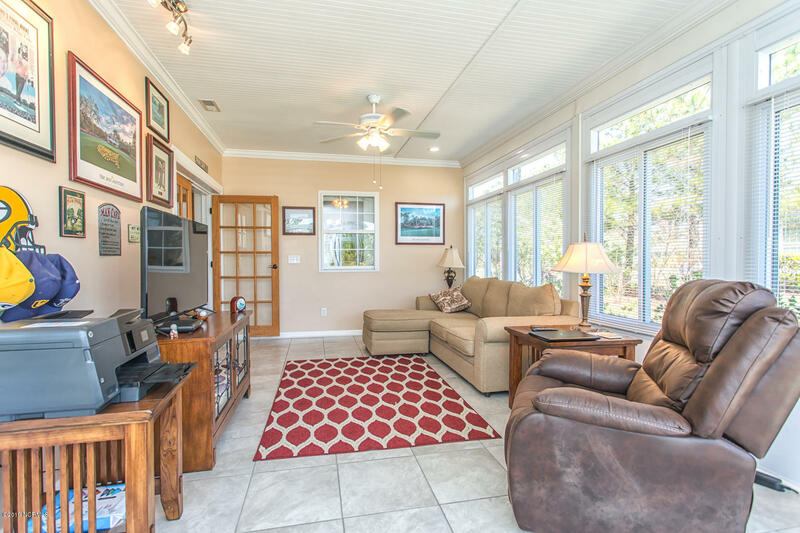 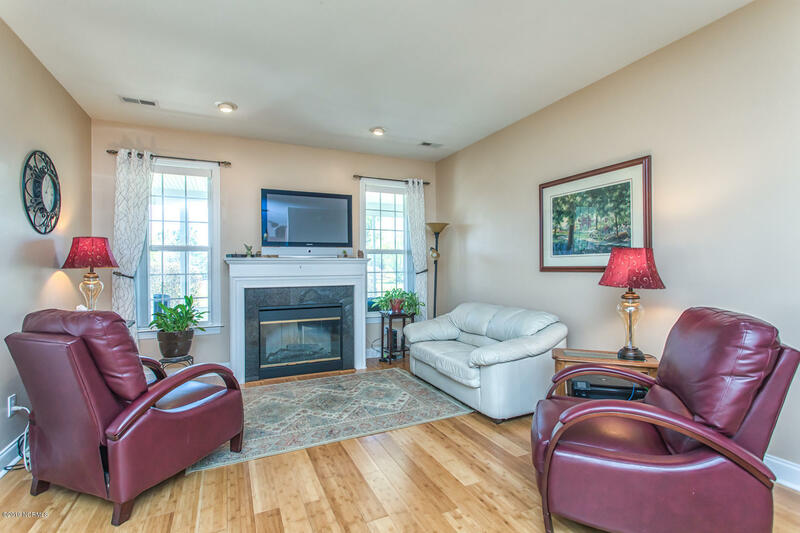 Cozy up by the living room fireplace, or enjoy the morning light in the bright and airy sun room. 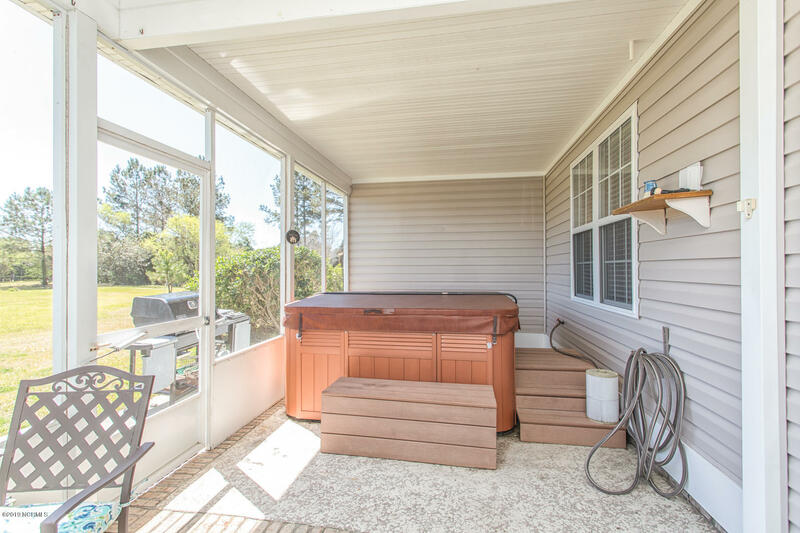 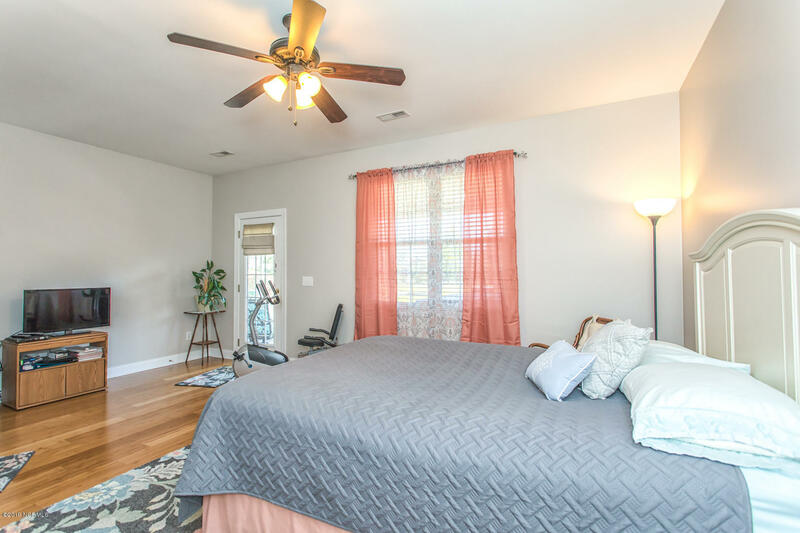 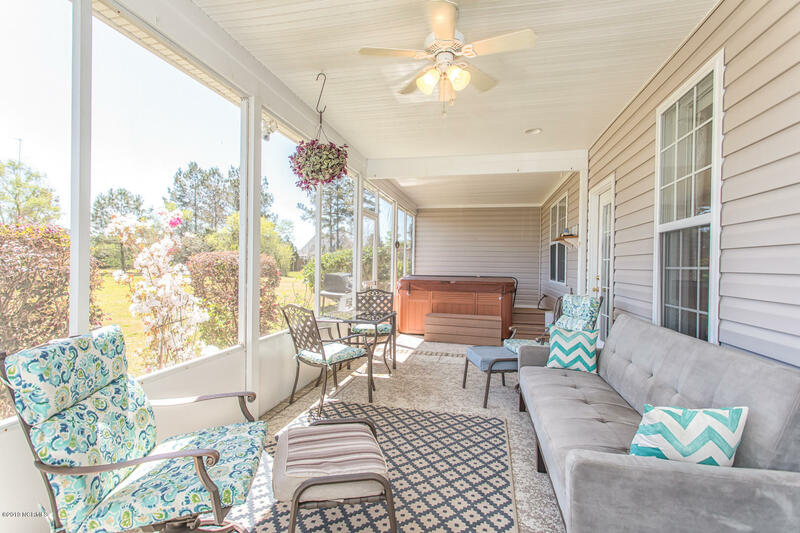 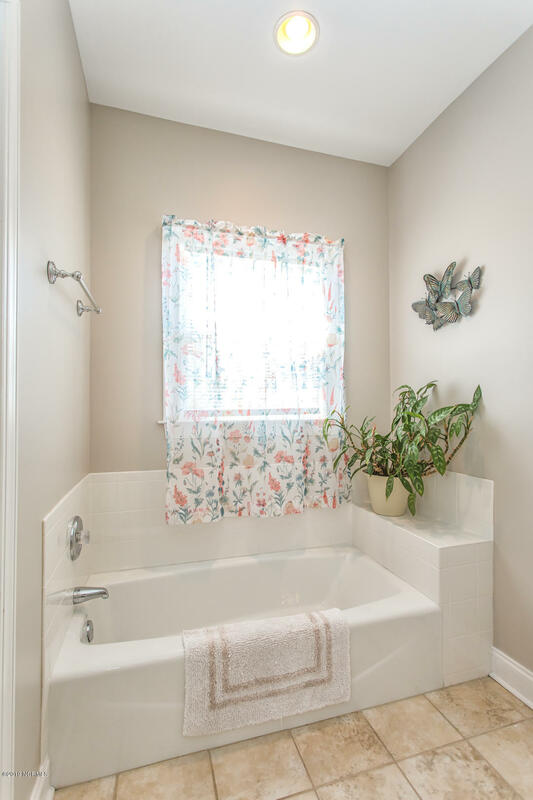 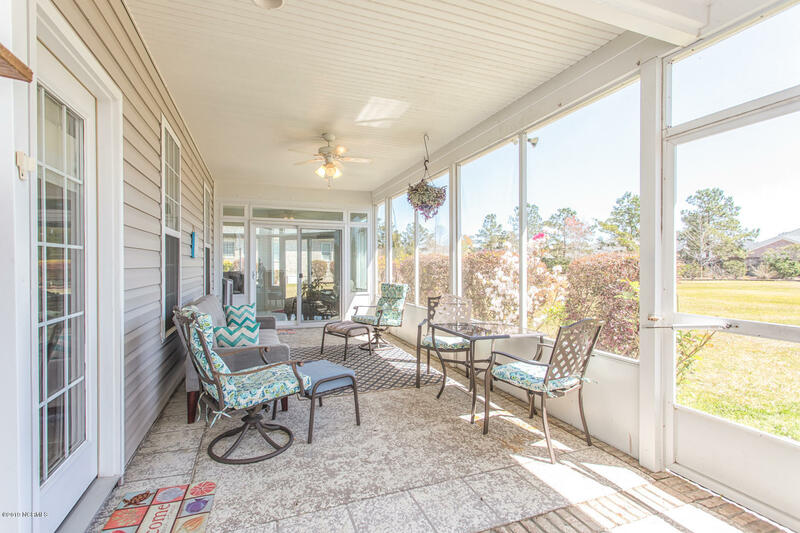 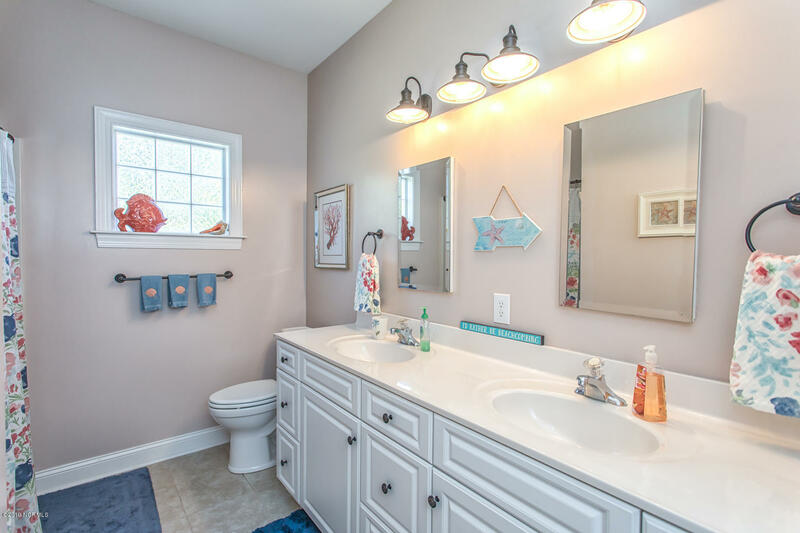 From your master bedroom or sun room, step out onto the 33'x10' screened-in porch and sip a refreshing beverage or have a relaxing soak in the hot tub. 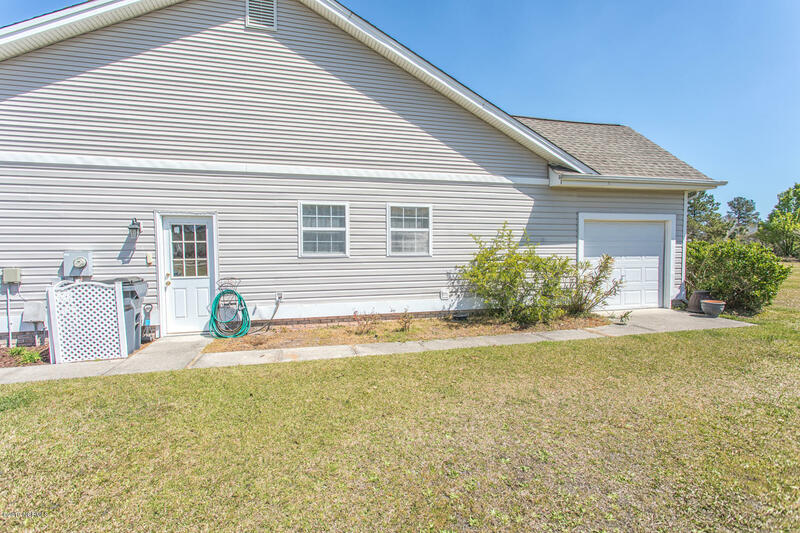 2 car garage and attached golf cart garage 13'x10'. 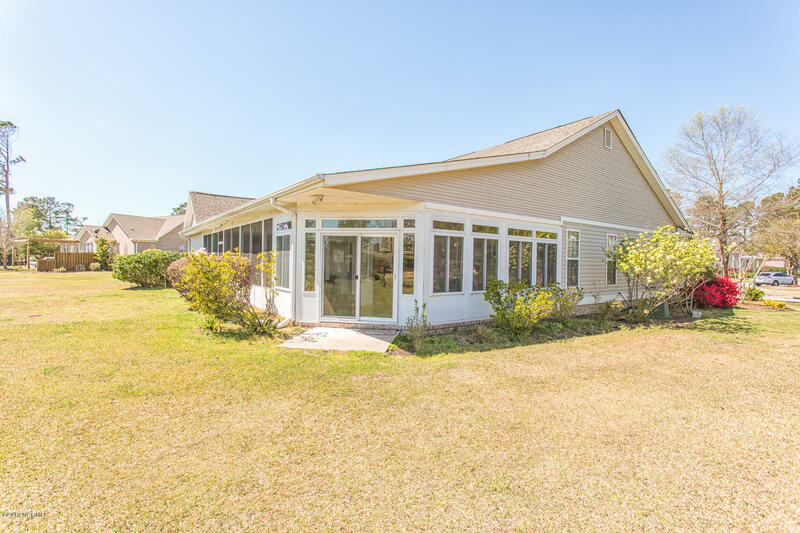 Invisible fence around the front and back yard. 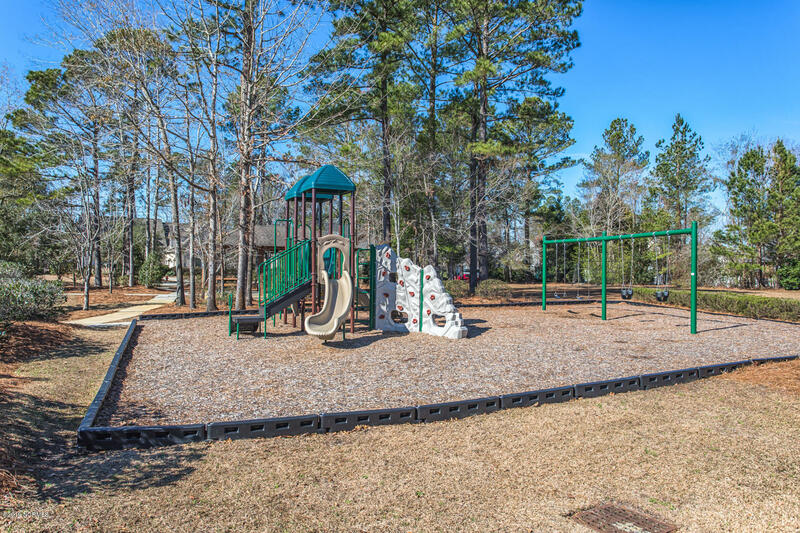 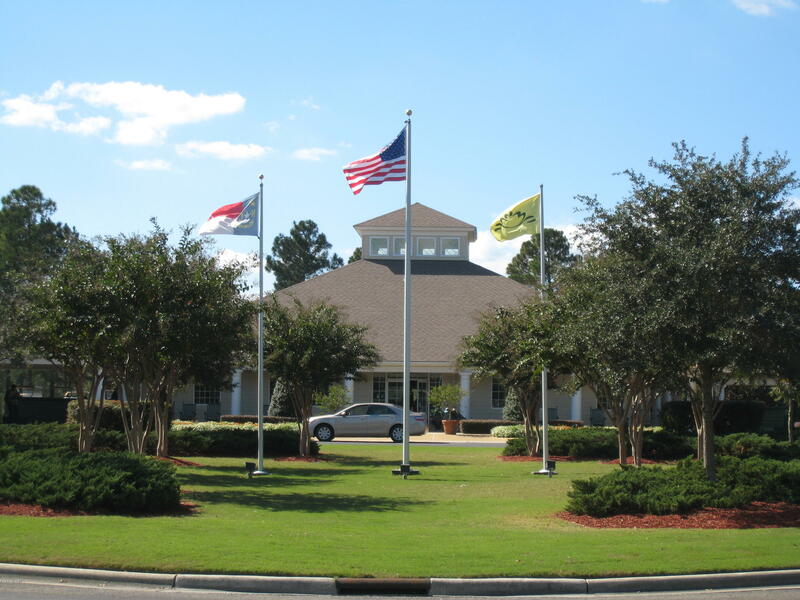 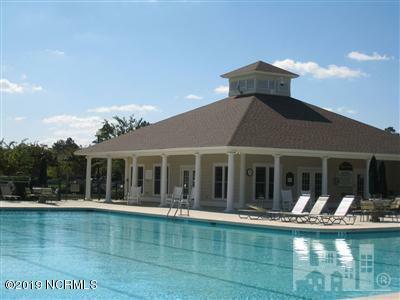 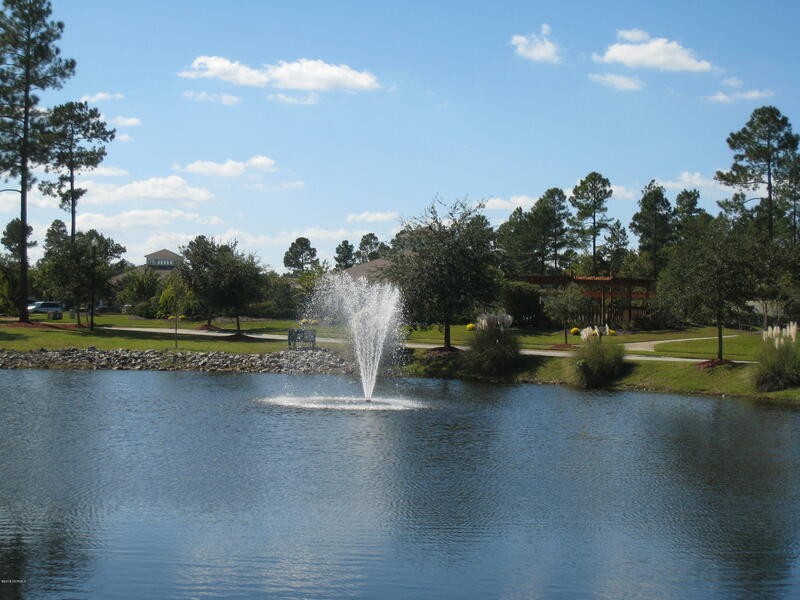 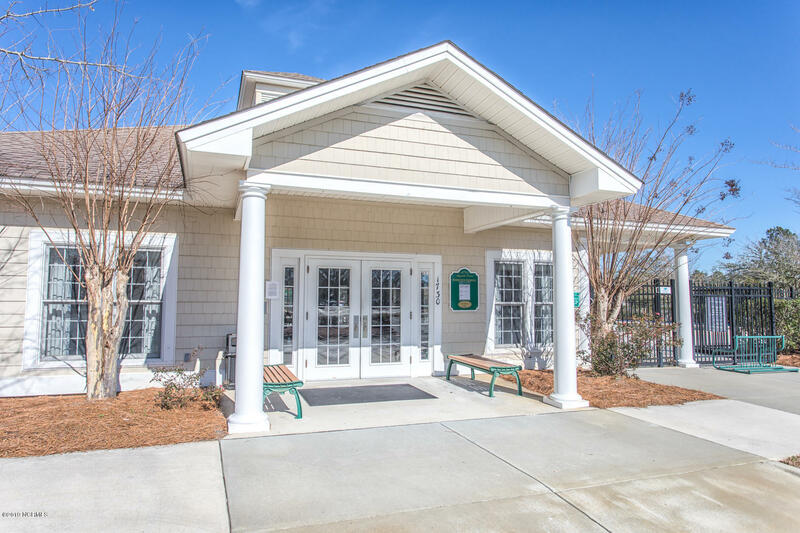 Neighborhood amenities include 2 outdoor pools, 1 indoor pool, 2 clubhouses, playground, tennis court, and golf course. 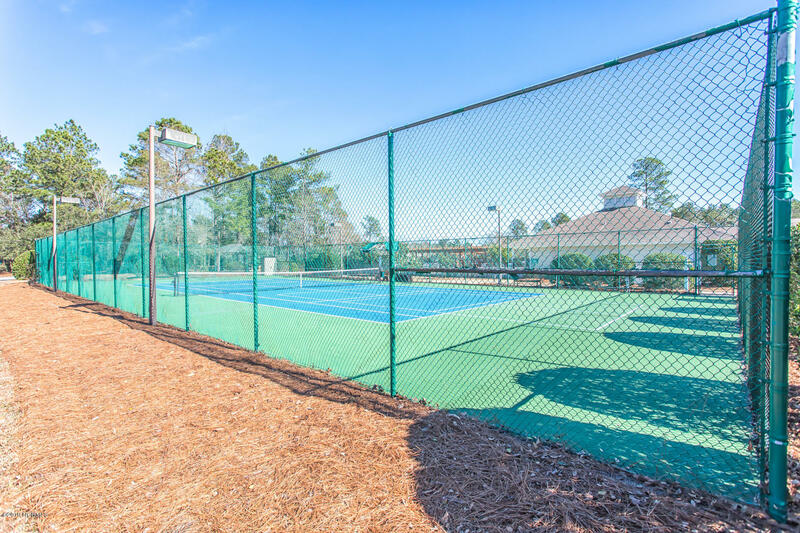 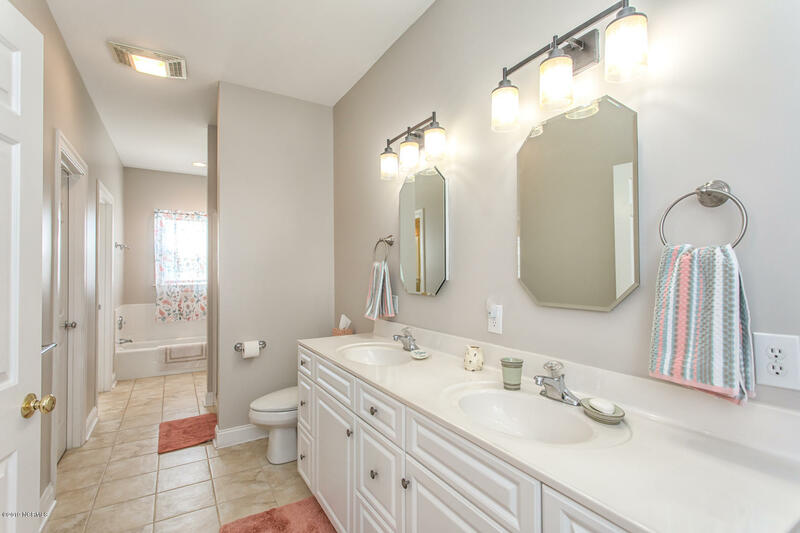 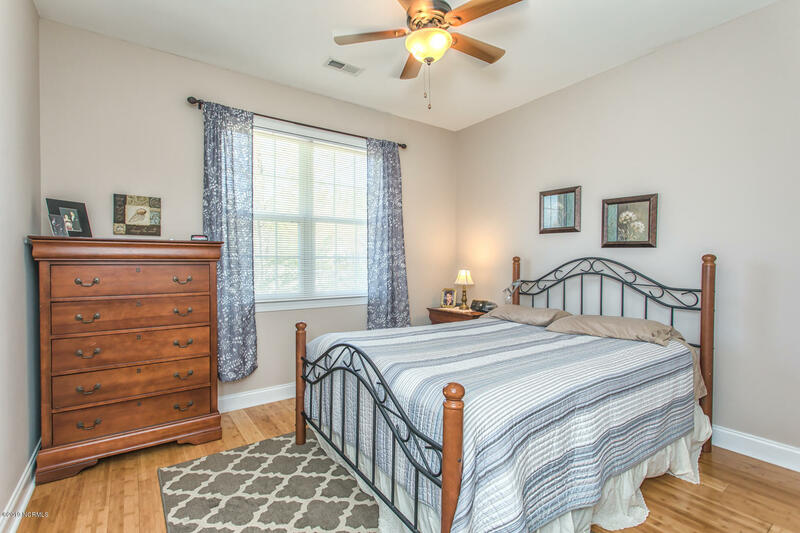 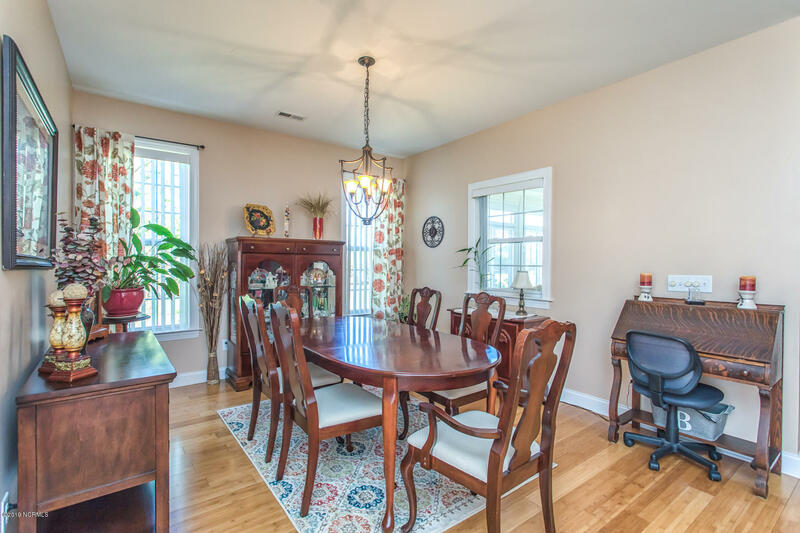 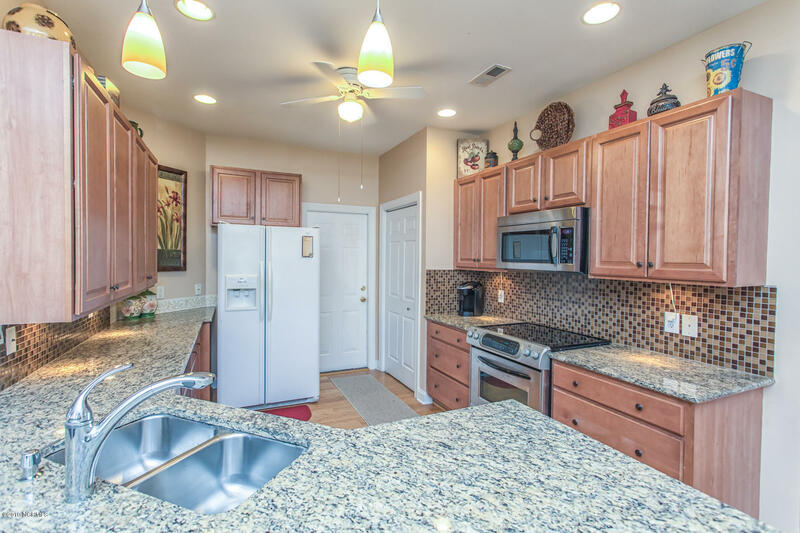 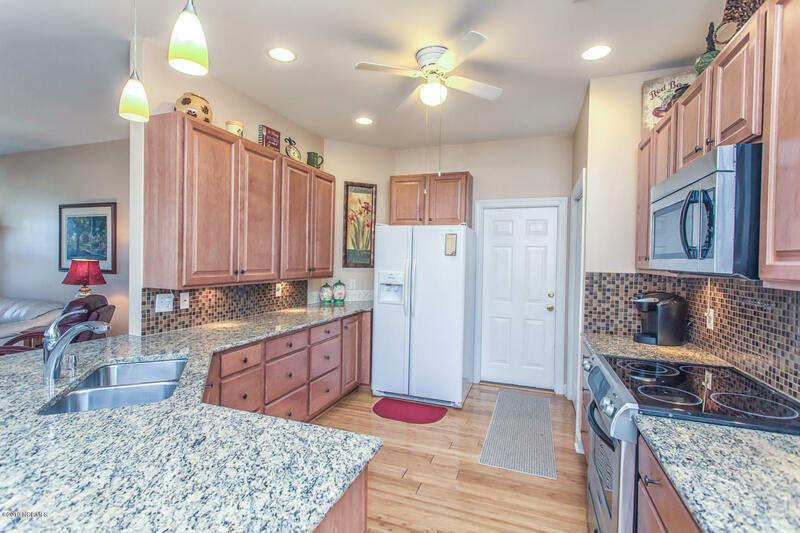 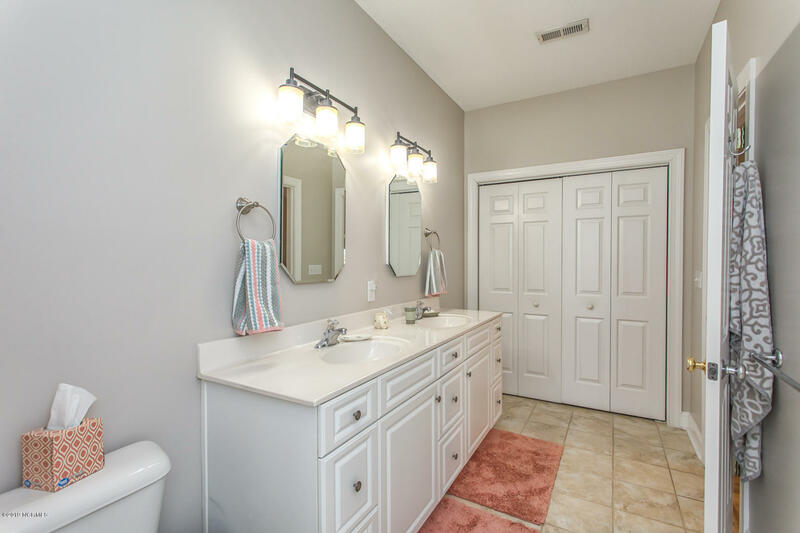 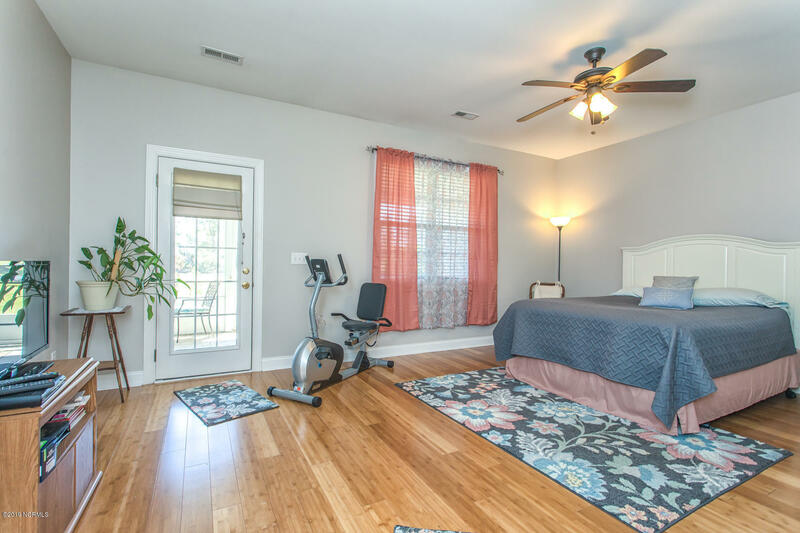 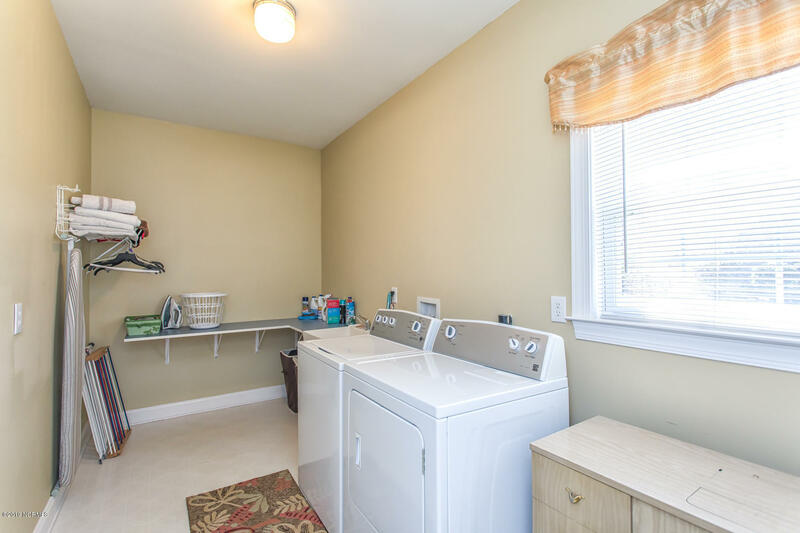 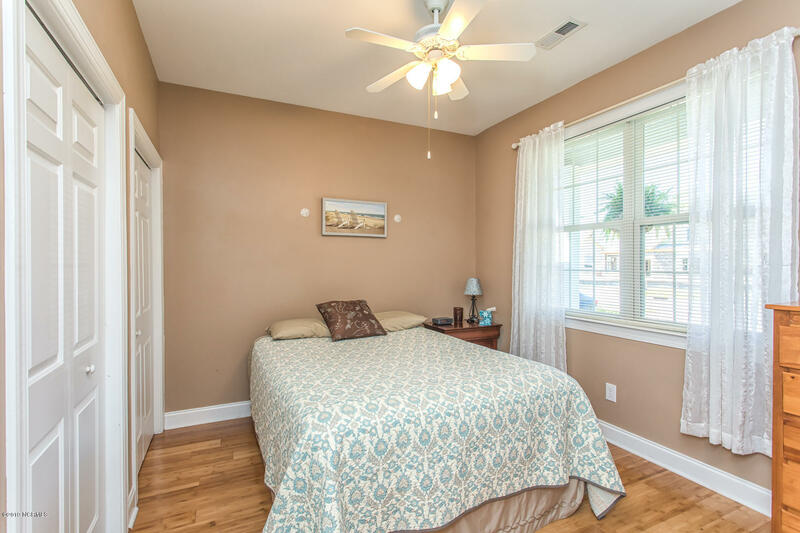 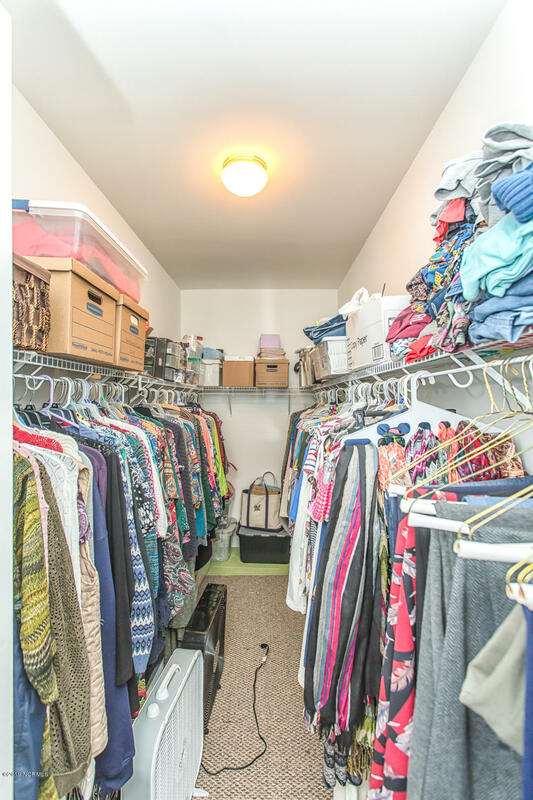 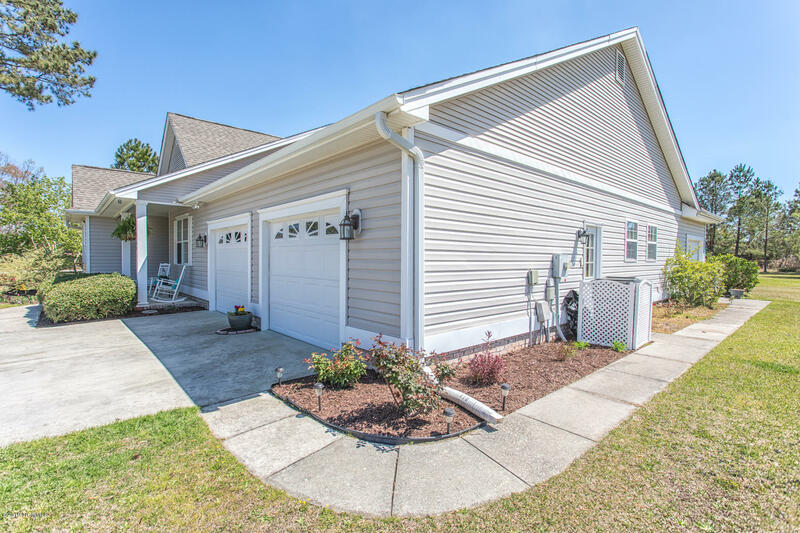 Located only minutes from shopping and restaurants!